This is an ancient form of Chinese medicine that has been used to treat various conditions such as arthritic pain, muscle soreness, stress, headaches as well as common coughs and colds. Cupping uses specially designed glass cups, which are placed on the skin to form a suction. This suction affect draws the muscle fibers apart allowing for an increase of blood flow and the release of built up toxins. Blended with different massage techniques this treatment is very affective in breaking up any waste product within the muscle. This treatment can leave “bruise” type marks (as seen on many celebs) but the benefits are felt almost straight away. 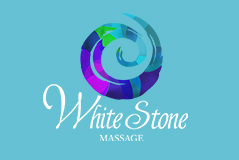 Add this therapy to your treatment for $10 on top of normal price.